Wordpress Hosting Install WordPress instantly. Unlimited space and Unlimited Bandwidth. On SolusVM slaves, this file store IP of master server. If IP of master changed, you have to delete this file, it get auto generated. This is a timed link that expire after 3 hours, so you will need to generate it your own. 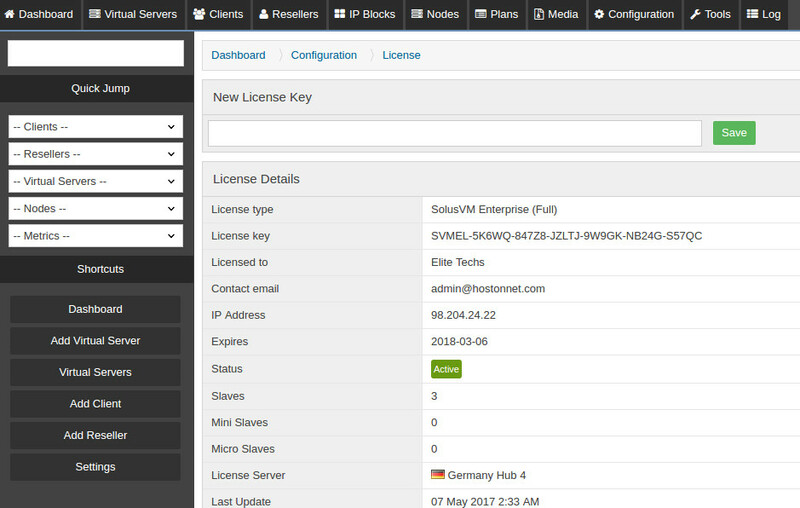 Now run the command on SolusVM master server. 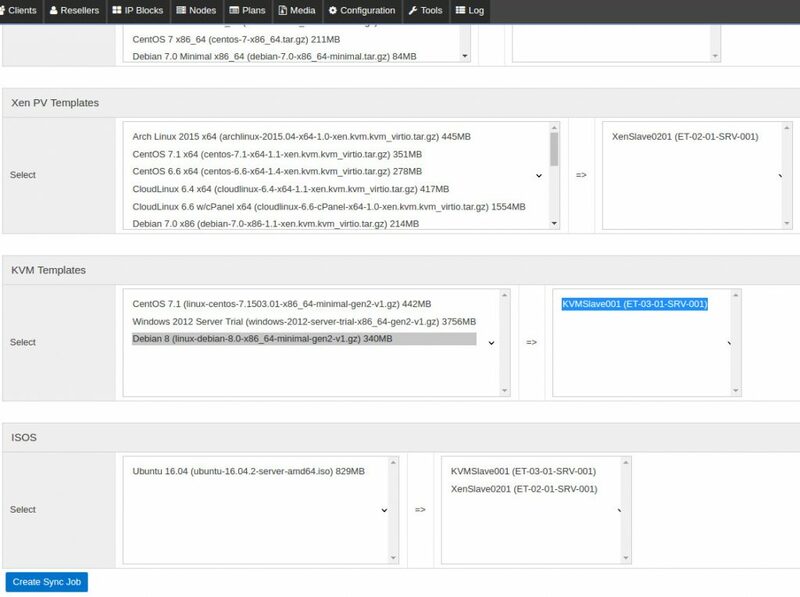 All the information you need to fill on this form like Generation, Architecture, etc… are available on the SolusVM template download page. Fill the form and click Add Template to add the KVM template. The template you download is only available in your SolusVM master installation. You need to copy the template to all KVM nodes you have. To do this, go to Media > Media Sync. 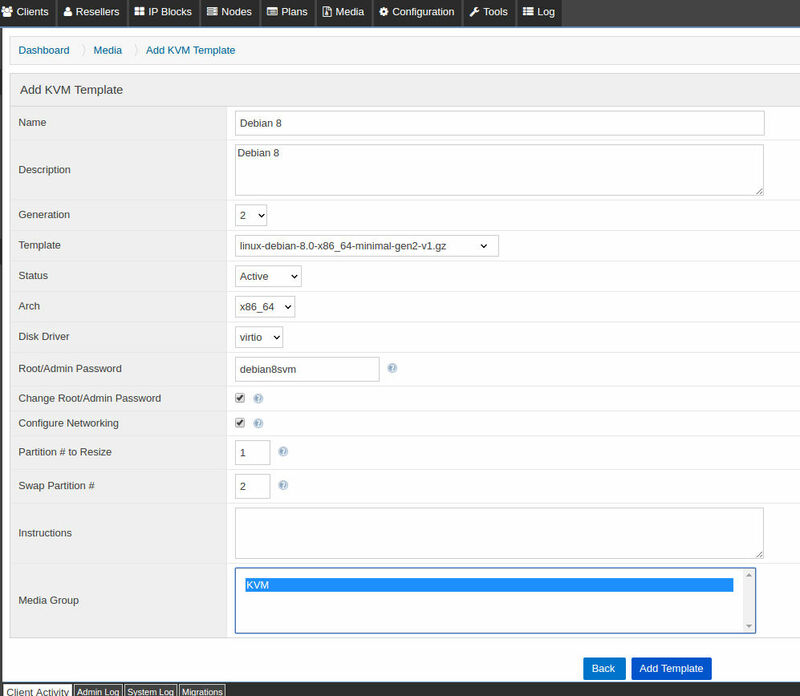 Select the template you want to sync and the servers to sync. Click Create Sync Job to add a job. You can click “Manually Force Sync” button on this page to force start the Media Sync jobs.